The BlackBerry Curve 9350 is a well-designed, sleek smartphone that was released in September 2011. It is important to know that this is not a GSM device, which is why it may not work on GSM networks around the world. If you are the happy owner of this phone, but have been experiencing a variety of unpleasant software problems lately, it might be the right time to hard reset the BlackBerry Curve 9350. As you probably know, the BB’s operating system includes a quick and efficient method of restoring the phone back to original settings, which can solve most software-related issues very fast. This is going to be done by refreshing the software, and erasing all data that could possibly store a virus. We recommend creating a backup before following the steps indicated in this article. Running on BlackBerry OS v7.0, this is an affordable phone that is targeted at absolutely any users worldwide. Being very easy to use, it comes with a Li-Ion 1000 mAh battery and 512 MB RAM, as well as 512 MB ROM. It is equipped with a Wi-Fi 802 hotspot and Bluetooth v2.1 with A2DP, which make it simple for everyone to transfer and share files, while they take advantage of the wide variety of applications that can be installed for free. Before you try to master reset the device, we suggest performing a soft reset first. This is a simple and fast procedure that is not going to interfere with the data stored on the internal memory of the phone. You should have the BB Curve turned on, and simultaneously press the Alt, Shift and Del keys until it turns off. Then you can release the keys, and wait for the reboot to be done automatically. In case this method didn’t work, or you’d like to restore the phone to factory settings, you should first save all important media files, contacts, apps, and other documents you wouldn’t want to lose. This can be done by connecting the phone to the computer, and using the Desktop Manager application to transfer everything into a separate folder on the PC. Open the Main Menu and go to the Options folder. Scroll down until you see Security Options and press the button in the middle to select. 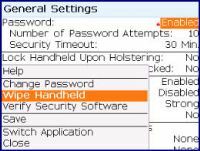 Within Security, go to General Settings and press the Menu button once again. You will see a menu with various options to choose from – select Wipe Handleheld. Read the warning if prompted, and tap Continue. Enter the password: blackberry, and wait for the reboot to begin. 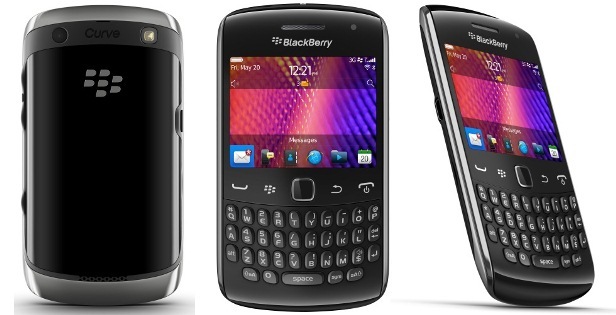 At this point, the BB Curve 9350 should have restarted itself – all user data will have been erased, and the apps should function normally once again. You can now transfer the files back onto the phone, by connecting it to the PC, and using the same app as before. This one will copy everything you saved in the backup, so you can use the smartphone just as you did before.